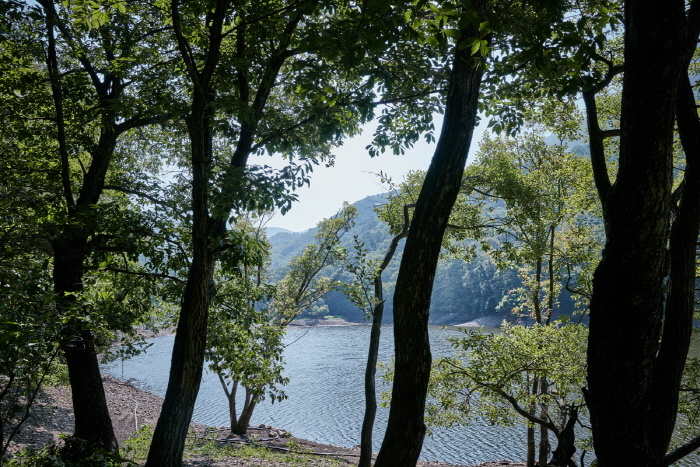 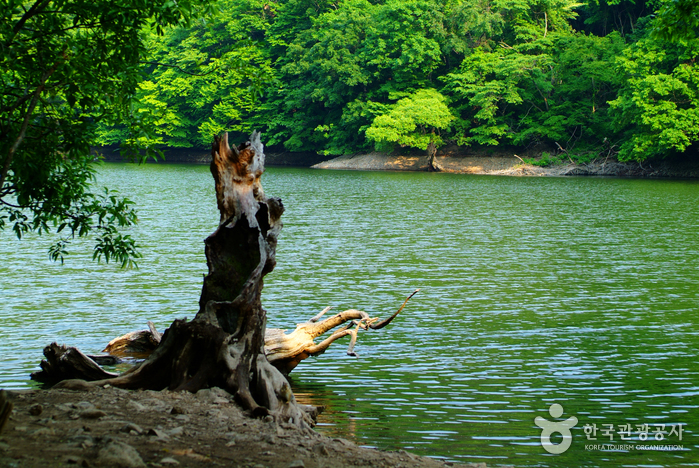 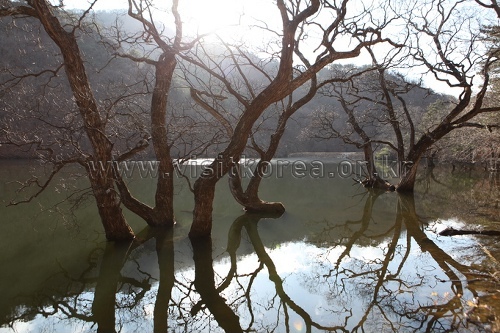 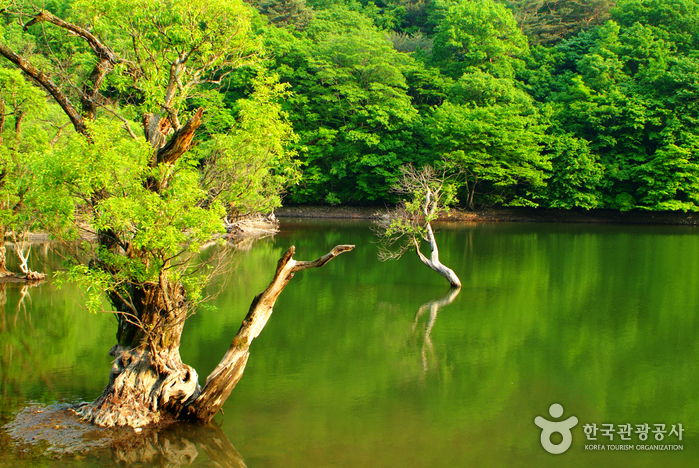 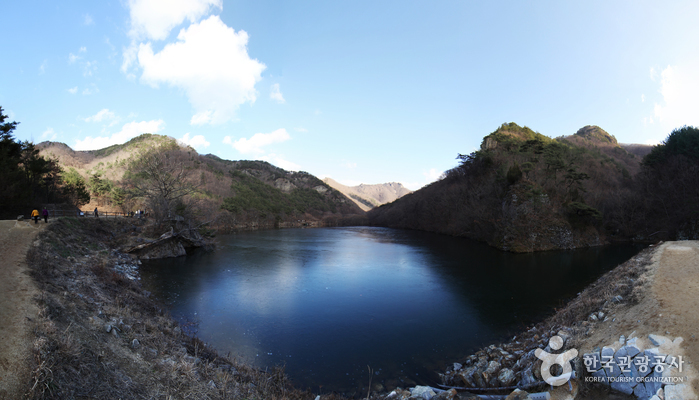 Jusanji Pond is a small reservoir located in Juwangsan National Park. 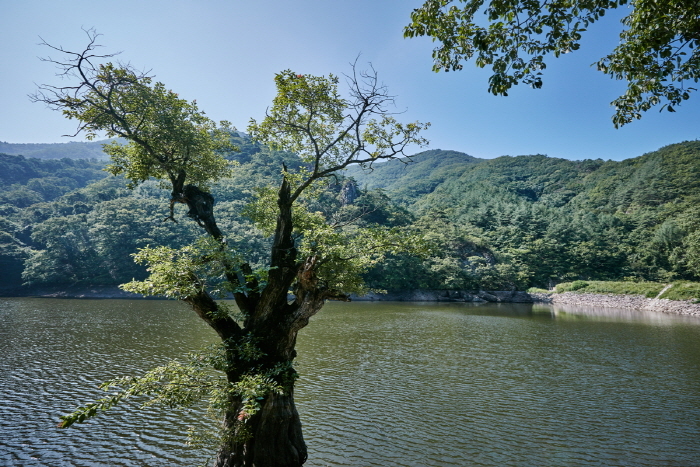 It is a man-made pond that was dug out in August 1720 and completed in October of the next year. 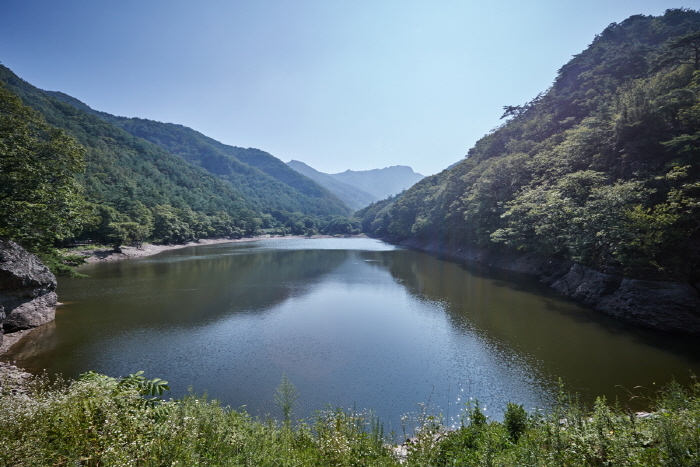 The pond has been used as a source of water for agricultural use as well as for drinking water. 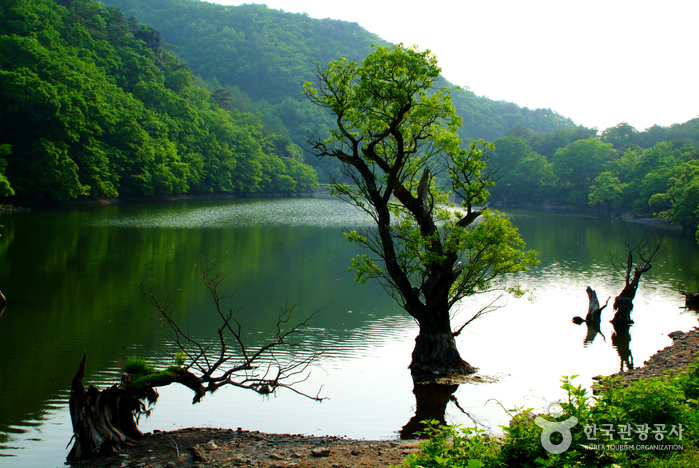 Even though it is small in size, about 100 meters long, 50 meters wide and 7 to 8 meters deep, the pond has never dried up from any drought. 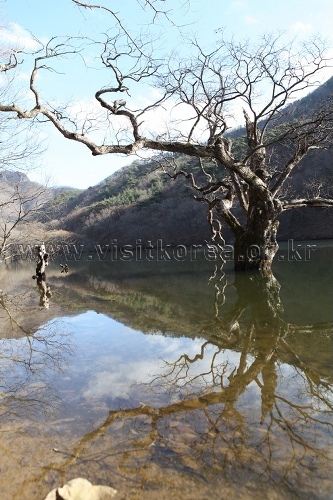 While the surrounding thick woods of Juwangsan Mountain are quite an impressive place for those who love nature, 30 willow trees which are 150 years old are rooted in the pond, which make a fantastic balance with the surroundings, creating a picturesque scenery found nowhere else. 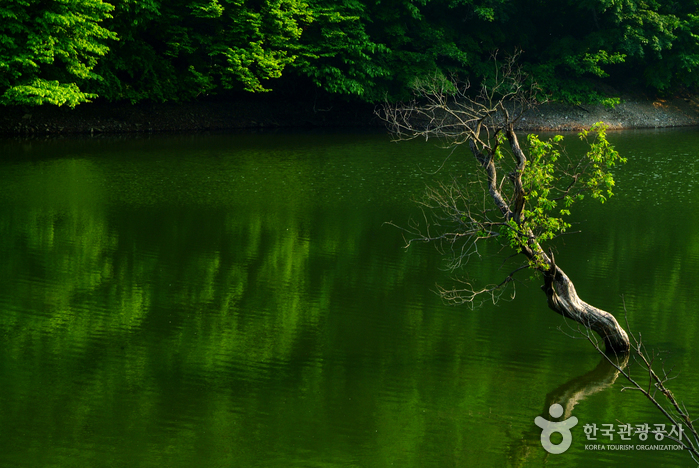 The beauty of this forest along with the nature surrounding it culminates when the shadows of the trees elongate on the still waters of the pond. 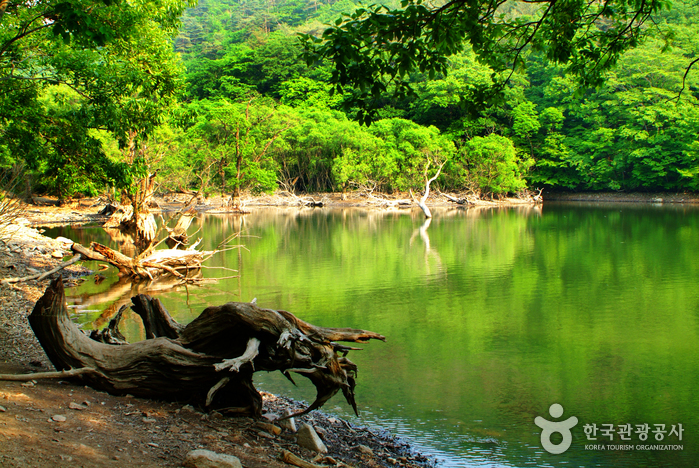 Words cannot express the magnificent view of the surroundings here with the water, trees, and fog altogether. 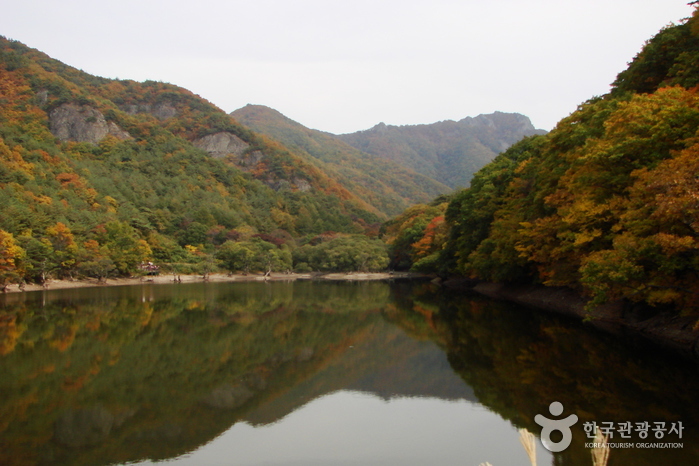 The best season to visit Jusanji Pond is spring and fall. 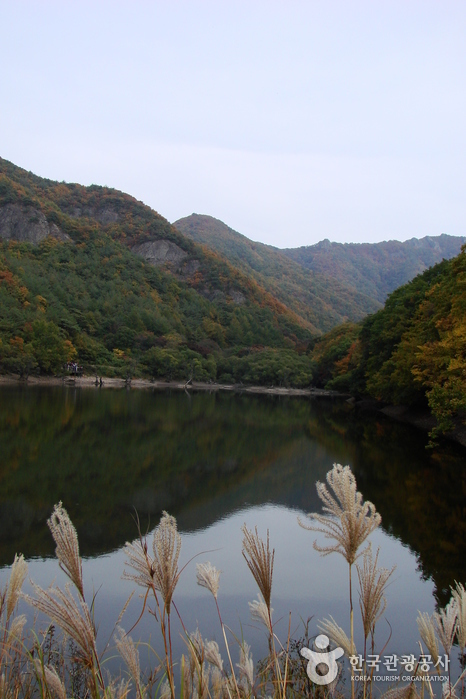 People say the best time to go is when spring buds start to appear in April and May, or when the autumn foliage is in full bloom. 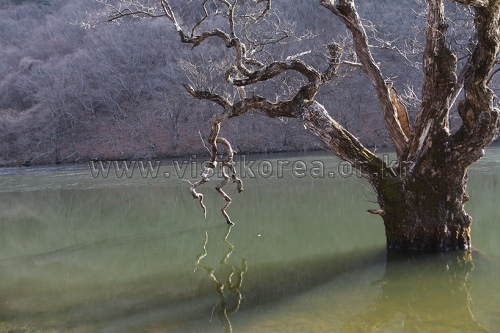 In the summer, much water is drained for agriculture, so the area feels empty, and in the winter, the reservoir is frozen and it is not possible to see the trees reflected on the water. 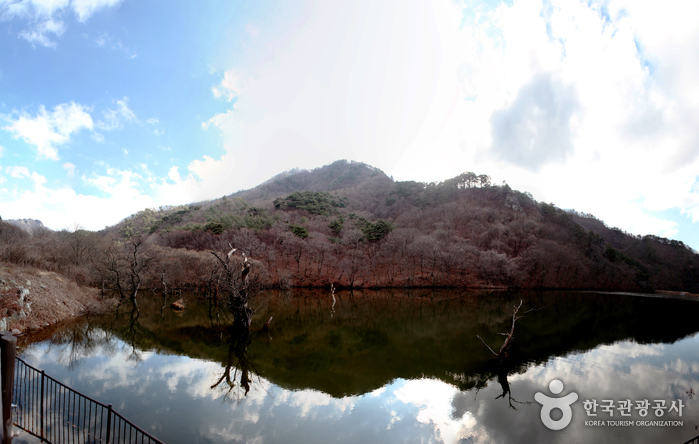 Jusanji Pond is located in the inner part of Mt. 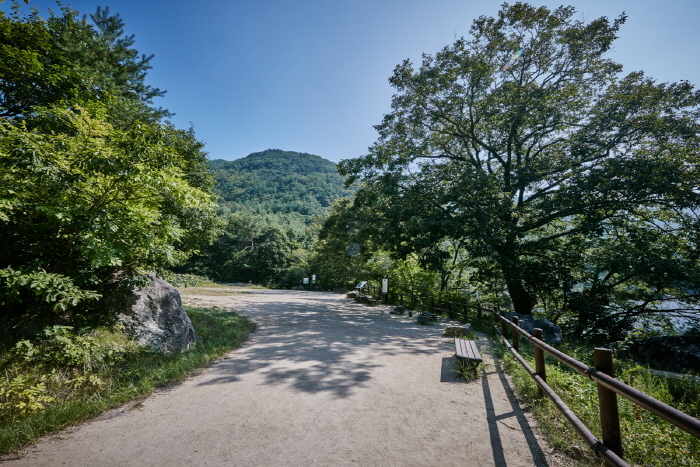 Juwangsan, which, unlike the outer part of Mt. 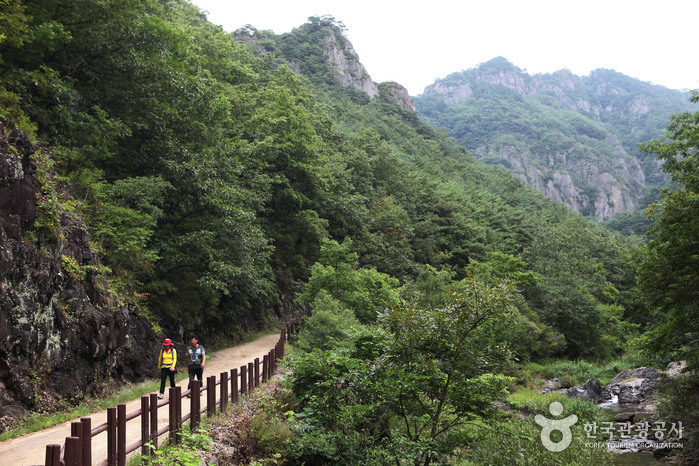 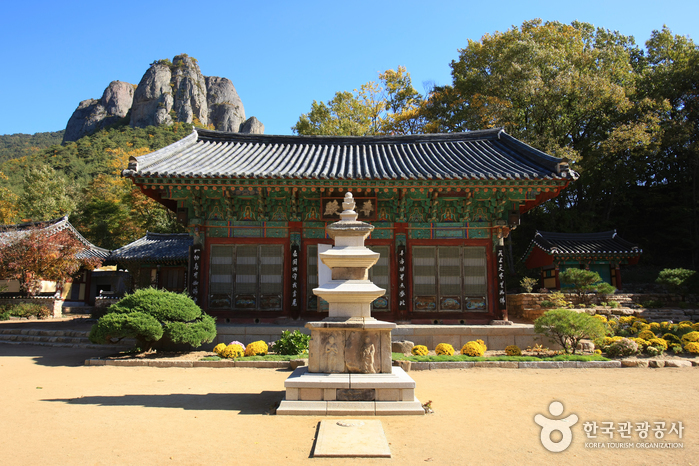 Juwangsan where hiking courses are more developed, had been considered as a hinterland because of its inaccessibility and steep mountains. 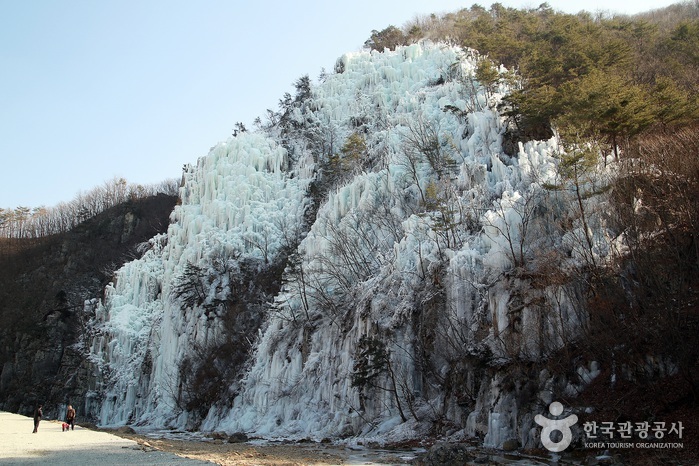 It started to become known to the general public about 20 years ago as photographers came looking for beautiful landscapes. 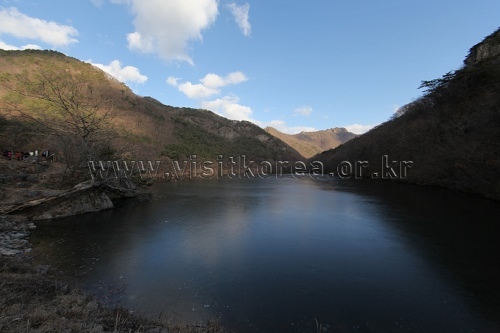 Recently, the number of visitors has grown sharply after movie director Kim Ki-duk (김기덕) featured the picturesque four seasons of the pond in the movie Spring, Summer, Fall, Winter and Spring. 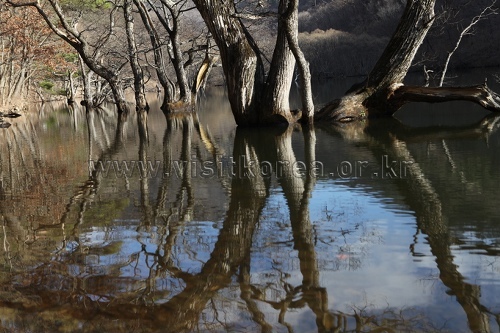 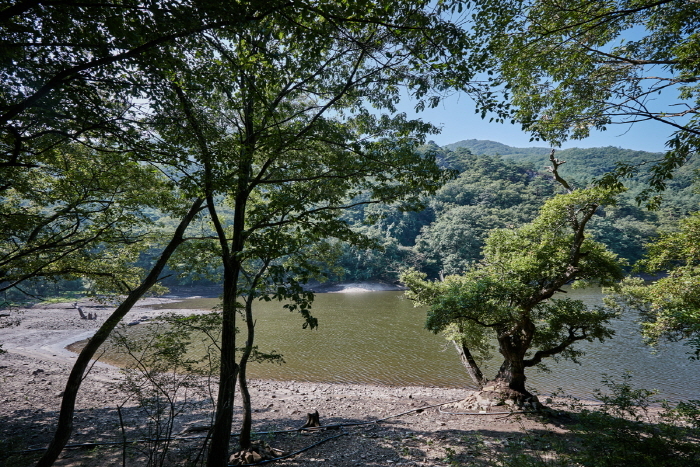 Even though the movie set was dismantled for environmental and management reasons to prevent water contamination, numerous visitors continue to visit a place that has preserved nature and its wild habitat. 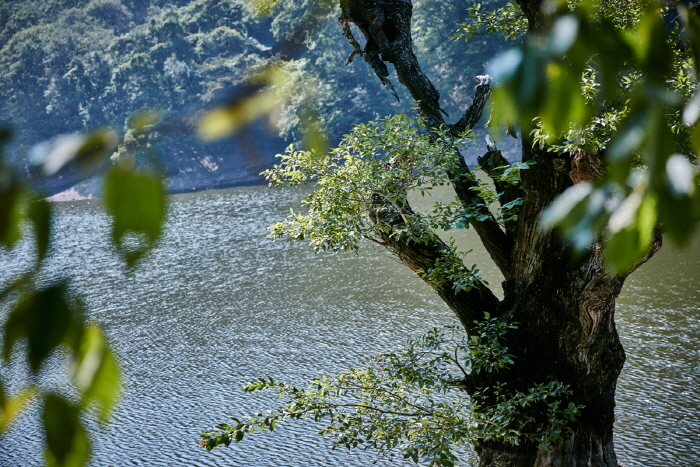 Film "Spring, Summer, Fall, Winter...and Spring (2003)"
Take a bus from Dong Seoul Bus Terminal to Juwangsan. 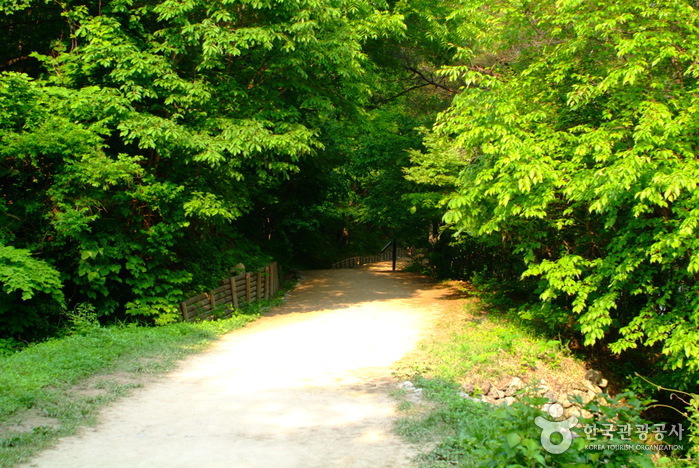 From Juwangsan Bus Terminal, take a Cheongsong-Ijeon (청송-이전) route bus to Sangijeon (상이전) bus stop.